Joint problems in cats are less obvious than in their canine (or human) friends and we often don’t notice the signs. Your cat may simply slow down or become quieter and stop jumping up to steal a cuddle (or your fish!). Treat your cat to a high quality joint supplement early in life to help soothe active joints and support long term joint health. 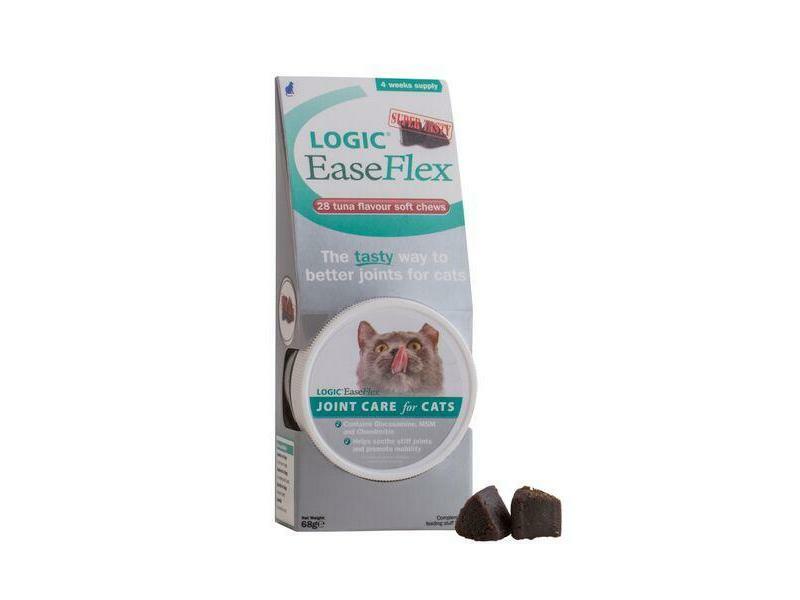 Logic EaseFlex for cats is a tasty joint supplement that has been specifically designed with concentrated ingredients to help soothe stiff joints and promote mobility in cats. MSM (Methylsulfonylmethane): A source of naturally occurring sulphur, required as a building block in cartilage, which plays a vital role in joint movement. 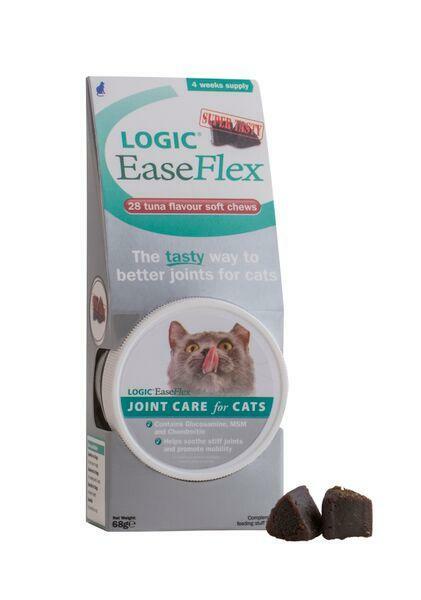 With its cat appealing, tuna flavoured soft chews, Easeflex is the tasty way to better joints for cats. There are currently no questions for Logic EaseFlex Cat - be the first to ask one!